It’s been a busy time for new craft breweries in Southern California. Starting in late January, two breweries opened, with a remaining three close to debuting in the coming month. As an expanding part of the region’s culture, the current pace of craft beer openings is incredible. Big names are even staking a claim, including mega brewer Ballast Point. The company setup a 3,000 square foot brewpub with 100 beers on tap in Downtown Disney on January 16. These other newcomers are distinctly non-corporate and setup spaces in Long Beach, the City of Bell, and throughout the South Bay. All of this is very good news for craft beer lovers, as it means more local brews are here or on the way. Here are five breweries that opened in late January, or will open doors in the next month. This San Diego-based brewery broke ground in Bell last spring, and Border X’s SoCal will mark it’s SoCal debut on March 2 at noon. It’s a unique way to shake up the industry, by combining Mexican ingredients with traditional craft beer. The 7,000 square foot space is big enough for a ten barrel system, a 45 foot bar, and 16 beers on tap. 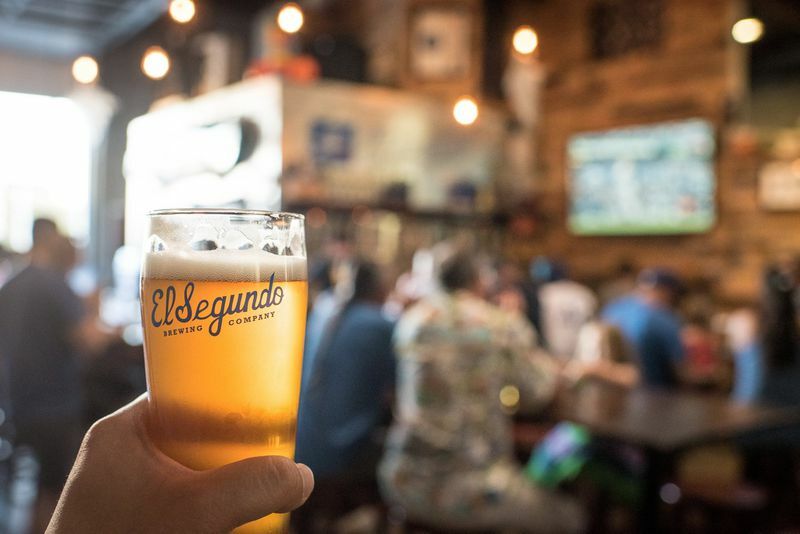 El Segundo Brewing’s second location opened on January 24 with a completely different name and vibe called The Slice & Pint. It serves beers on tap from the adjacent brewery, and a menu from Matt Ranney, formerly of the Village Idiot on Melrose. The plan is to lure folks in with garlic knots, meatballs, and pizzas while sipping quality beer. 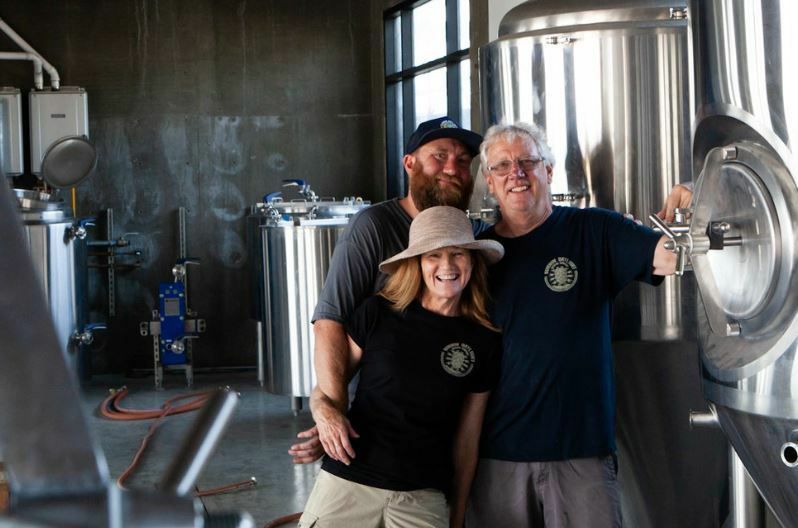 After a soft-opening on January 29, Ambitious Ales will make its official debut in Bixby Knolls on February 16. Partners Juan Carrillo, Garrett Carroll, Jon Cuthbert, Jerome De Leon took over the building that used to house Tuttles Camera, which was built in the 1930s. 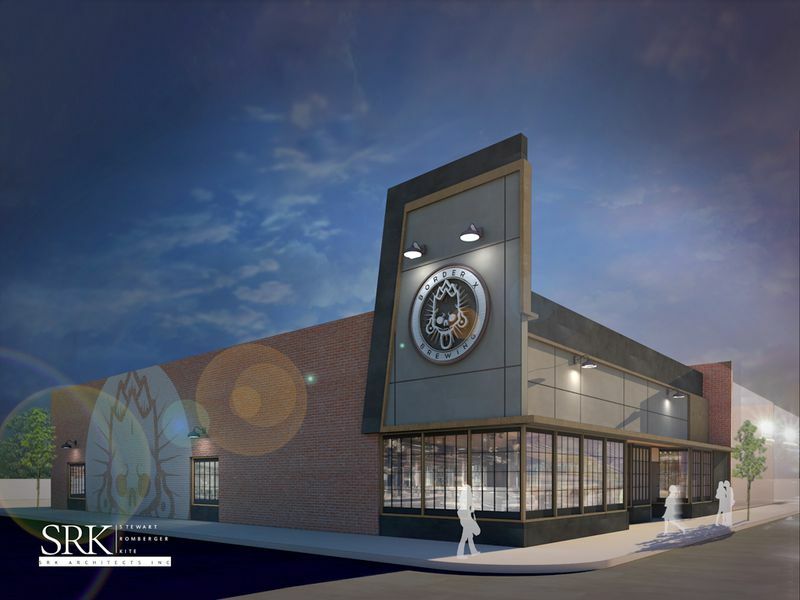 With Cuthbert as general contractor, the crew built the 3,600 square feet brewery, which includes a ten barrel brew house, a tasting room, and a patio. Ambitious Ales maintains a friendly outside food policy, and is in close proximity to some innovative neighbors, including Powwow Pizza by James Republic chef Maurice Yim. A second Long Beach beer option opened its doors on February 4. According to Hopped LA, Bottlecraft Long Beach is an craft beer retailer with beer bar and bottle shop locations throughout San Diego. 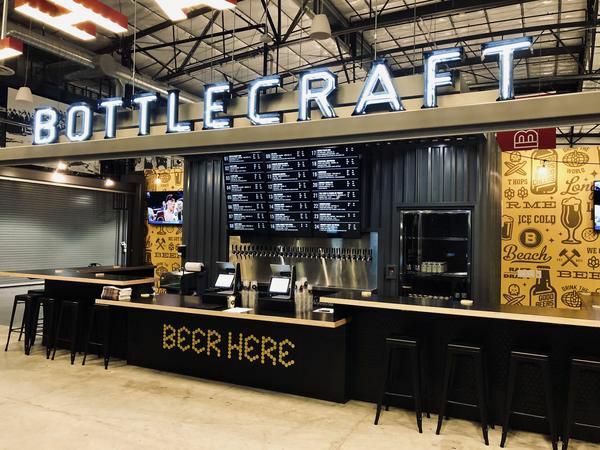 This is the first Southern California location, and Bottlecraft setup shop in the Long Beach Exchange’s Hangar food hall. On the drinking menu are 30 craft beers on draft, as well as wine, Kombucha, and cider. Home brewer Brendan Lake entered a contest by Stone Brewing Company in 2008. He didn’t win the competition, but was hired by Stone where he honed his craft until debuting Burning Daylight Brewing Company on January 24. The Lomita-based, family-run operation is closed on Tuesdays and Wednesdays, and functions mostly as a daytime brewery that closes fairly early. “These Five New Craft Breweries Are Opening in Southern California.” Eater LA – All. https://la.eater.com/2019/2/7/18215788/southern-california-five-new-breweries-beer-rooms.